With a beautiful beach, fantastic food and a laid back vibe, Barcelona is one of the most popular places in the world to visit for a weekend break. While other popular destinations in Spain like Madrid and Valencia can be costly, Barcelona can be enjoyed on a relatively low budget. Here are some of our favourite things to do for free or just a small amount of money. Like many big cities, a handful of museums in Barcelona are entirely free to visit at certain times. Between 3pm and 8pm on Sundays museums like the Museu Picasso and MUHBA are free of charge. One of the most popular tourist sites in Spain, Park Guell captures the imagination and genius of one of its most famous citizens – Antoni Gaudi. With buildings full of mosaic and colour, Park Guell can be explored mostly for free and there are fantastic views of the city and the coast. 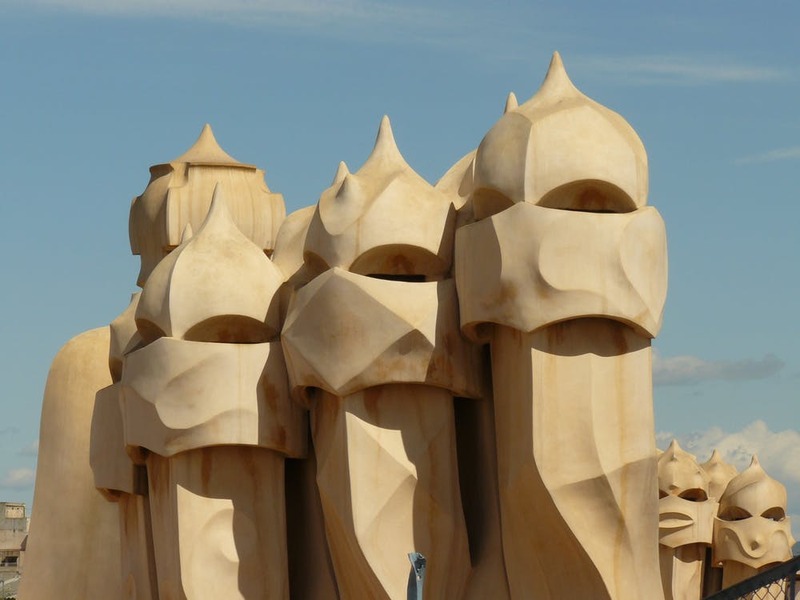 Gaudi’s most famous creation – La Sagrada Familia is perhaps the most iconic building in Barcelona. With construction beginning in 1883, the building still remains unfinished and the latest construction estimates put the completion date to be 2026 – a century after the death of its chief architect. An avant garde Cathedral unlike any other on the planet, the view even from the outside is breathtaking. Linking the shopping quarters of Placa De Catalunya to the beach, Las Ramblas is a long street with a pedestrian walkway that extends past bars, restaurants, shops, vendors and street performers. It’s a great place to people watch and there are plenty of places to stop and have a coffee or grab a bite to eat if you have the time. History buffs take note of the bullet holes in the brickwork of many of the buildings - foot notes from the Spanish Civil War. The Barri Gotic or Gothic Quarter is one of the city’s most charming areas. A stone’s throw from the beach, its narrow streets and squares are full of impressive architecture like the Cathedral of Barcelona. You will also find plenty of free walking tours which will help you to better appreciate its rich heritage. Delicious food is one of the big draws of Barcelona. Food markets are dotted across the city and even if you’re not eating the sights and smells are a delight for the senses. La Boqueria is known as Europe’s biggest food market and can be found just off Las Ramblas. Santa Caterina meanwhile is less well known but preferred by the locals for a more authentic selection of food. Your feet will probably be aching after a long day exploring the nooks and crannies of Barcelona. So end your day with a visit to the beach where you can rest up, go for a swim and soak up the sun entirely free of charge. Have you visited Barcelona? What did you do with your time? Tweet us at @TimeForYouGroup and let us know. The vibrant city of Berlin is one of the most exciting and charming spots to visit in Central Europe and is a common weekend destination for UK holiday makers looking for a cheap and easy get away. Unlike some other short break destinations there are a variety of tourist destinations, clubs, bars, restaurants and accommodation to be enjoyed on all types of budgets that can make Berlin an inexpensive place to visit. Here are some tips for making your money stretch as far as possible. Berlin, like many capital cities, has a good variety of hostels dotted around the city and whether you are a solo traveller happy to bunk in a dorm room or a couple in need of privacy there are rooms to suit. You can normally find hostels from around 15-40 Euros a night; however prices may be higher or lower than that during peak times. If hostels aren’t your thing then you can find good deals in AirBnb accommodation or in hotels by booking well in advance. Due in part to its history, Berlin has no city centre to note, rather it has a variety of different areas with mini-centres all linked together. While the vast expanse of Berlin and the distance between different areas could make travelling around a headache, Berliner’s are lucky. They have excellent public transport options with buses, trams, taxis, trains and subways all in operation. What’s more, many of the transport options have universal tickets so a day card which costs around 7 euros will allow you to travel on the bus, tram, U-Bahn and S-Bahn. Food is where you can make some huge savings in Berlin. As a multi-cultural city with a youthful population, Berlin has some of the best food around. From high-end gourmet dining to street food, Berlin has a bit of everything. You don’t have to look to hard to find cheap Turkish kebabs, buletten, Vietnamese noodles and the local delicacy – currywurst which all tend to be available around the clock on Berlin’s side streets. If you have special dietary requirements like halal, kosher, vegan or vegetarian then you’ll also find plenty of restaurants, cafes and street food vendors that will be able to cater for you. When the sun is shining Berlin transforms and parks like the Tiergarten and Mauerpark are where the locals hang out for picnics, BBQ’s and even karaoke. If you’re looking for something special though then check out the Tempelhofer Park, a former airport complete with disused runways which is now enjoyed by the public – a great spot for cycling, rollerblading and flying kites. Probably the most iconic building in Berlin, the Brandenburg Gate has stood solid since 1791 and was inspired by ancient Greek architecture. In 1946, when post-war Berlin was divided the Gate was located in the Soviet controlled section of Berlin. When the wall came down in 1989 hundreds of thousands of locals from all sides of the wall gathered by the Gate to celebrate their reunification. It has since become a symbol of unification for the city and is available to visit all through the year. Once part of the Berlin Wall, the 1.3 kilometere structure known as the East Side Gallery is the longest remaining section of the Berlin Wall. Trailing the banks of the Spree, it is also the longest open-air gallery in the world, featuring art and graffiti all the way along from renowned artists. A must see if you are visiting Berlin. 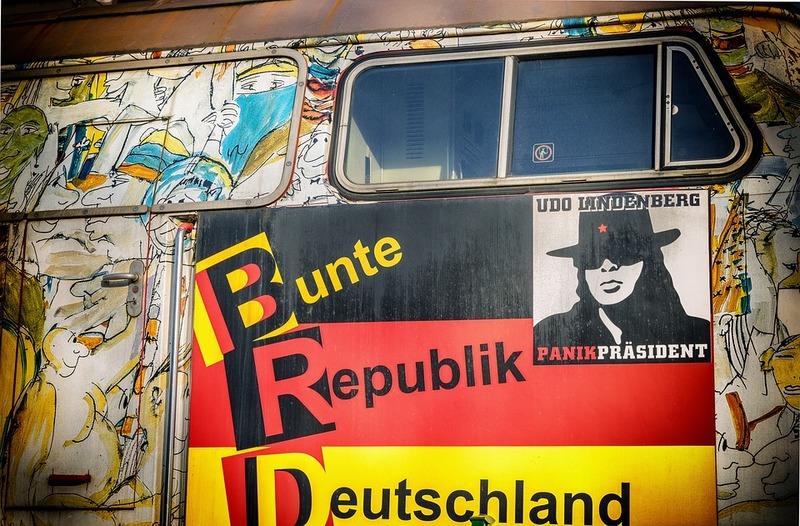 Have you visited Berlin recently? Do you have any special travel tips of your own? Tweet us at @TimeForYouGroup and let us know. Paris is known as being a very expensive city; however there are plenty of ways that you can save money while visiting. You can stay in AirBnb apartments instead of posh hotels and you can make the most of the cities metro and buses, rather than travel in taxis. But when it comes to things to do – what is there on offer? If you’re planning on a getaway to Paris and you happen to be working on a budget then you’re in luck. Here are some of our favourite free attractions and things to do in the ‘City of Light’. This iconic tower is one of the most visited tourist attractions in the world with 7 million visitors every year. The Eiffel tower tours cost money and you may pay anywhere from a few euros to access the elevators to the second floor to around 15 euros for third-floor admission and more for access to the summit with its 360-degree views and champagne bar. You can enjoy the tower without actually going inside though and there are great views to be enjoyed from afar in the nearby Parc du Champ de Mars. Find a nice spot in the gardens with a blanket and some wine and enjoy the light show which plays every hour for free. There are plenty of free entry museums around Paris. However some of the more popular museums do charge for entry most of the year, with an exception of the first Sunday of every month when many museums offer free entry to the public. One such museum is Musee d’Orsay. Located on the left bank of the Siene, it is housed in a former railway station built at the end of the 1800’s. The museum boasts collections of French art including work by Monet, Manet, Gauguin and Van Gogh. If you are aged 25 or below and live in the EU then you can get into many of the museums around Paris for free. However on the first Sunday of the month many museums have their free entry days – including the Louvre, so if you’re older than 25 be sure to plan your visit around the first weekend of the month. 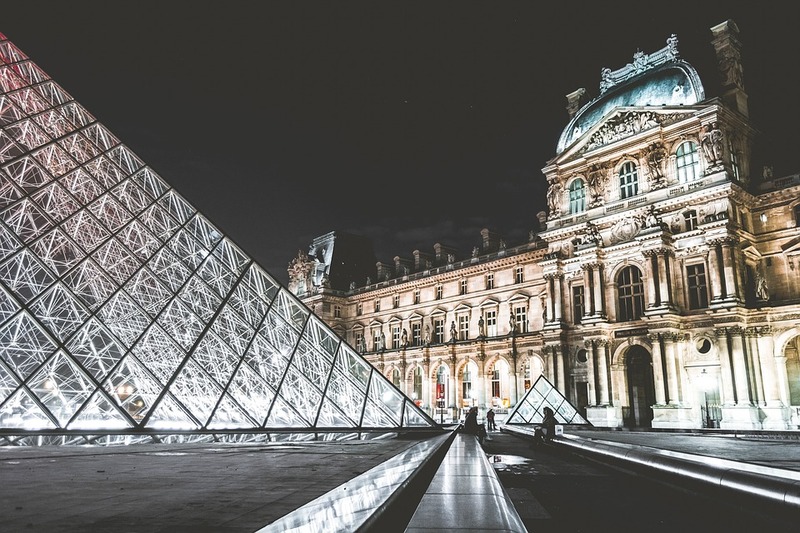 The iconic Louvre Museum is one of the finest art galleries in the world housing world renowned art like the Mona Lisa and around 380,000 objects from pre-history to the 21st century including Egyptian antiquities, Greek pottery, Roman sculptures and much more. Notre Dame which means ‘Our Lady’ is considered one of the finest examples of French Gothic architecture in the world. With frightening gargoyles and spectacular rose windows, Notre Dame is not one to be missed and can be visited for free, or you can pay a nominal fee for tours of its spectacular towers. Paris is renowned for gothic cemeteries. Pere Lachaise is home to famous graves of Oscar Wilde, Jim Morrison of The Doors, Frederic Chopin and many more and is said to be the most widely visited graveyard in the world. The cemetery is free to visit and there are signs and maps to help you make your way around the most famous of tombs and graves found there. A bookshop once frequented by literary greats like Ernest Hemmingway, this bookshop is a treasure trove for avid bookworms. The bookshop itself is labyrinth of delightful small rooms crammed from floor to ceiling with books but also seats so that you can have a quick read before purchasing, if you wish. A must for Parisian hipsters, the St-Martin canal is dotted with lively cafes and bars and is a perfect place to sit down with a bottle of wine and a picnic during the day, or people watch during the night. Walking tours are a great way to learn about the history of Paris and also to find your bearings. Look online and join one of the many free tours that depart from the Mont Marte’s artist quarter area with its cafes, bookshops and street performers and the Latin Quarter. Paris is famous around the world for its culinary delights. The market place of Place D’Aligre is a great insight into the food of France with towers of cheeses, artisan breads and flowers to see and smell. However, you may find it hard not to part with a few euros to sample some of the food on offer. The white marble church of Basilique du Sacre Coeur boasts wonderful views over the city. You can visit the basilica for free, however there are charges for visiting the dome or the spooky crypt below. Paris is well known for its dominance of world fashion. If you’re interested in catching a glimpse of the latest catwalk fashions then visit the Galeries Lafayette on a Monday or Friday at 3PM for a free weekly fashion show. Have you visited Paris recently? Do you have any special travel tips of your own? Tweet us at @TimeForYouGroup and let us know. Understandably one of the most common reasons that people are hesitant about taking up juicing or a smoothie diet is the cost. While the benefits of introducing more fruit and vegetables are pretty clear – better skin, digestion, weight loss and more – people naturally worry that filling their shopping trolley full of organic fruit and vegetables is going to make a big dent in their finances. However, if you go about things the right way then it’s more than possible to do juicing on the cheap. Here are some of our favourite tips that we want to share with you. 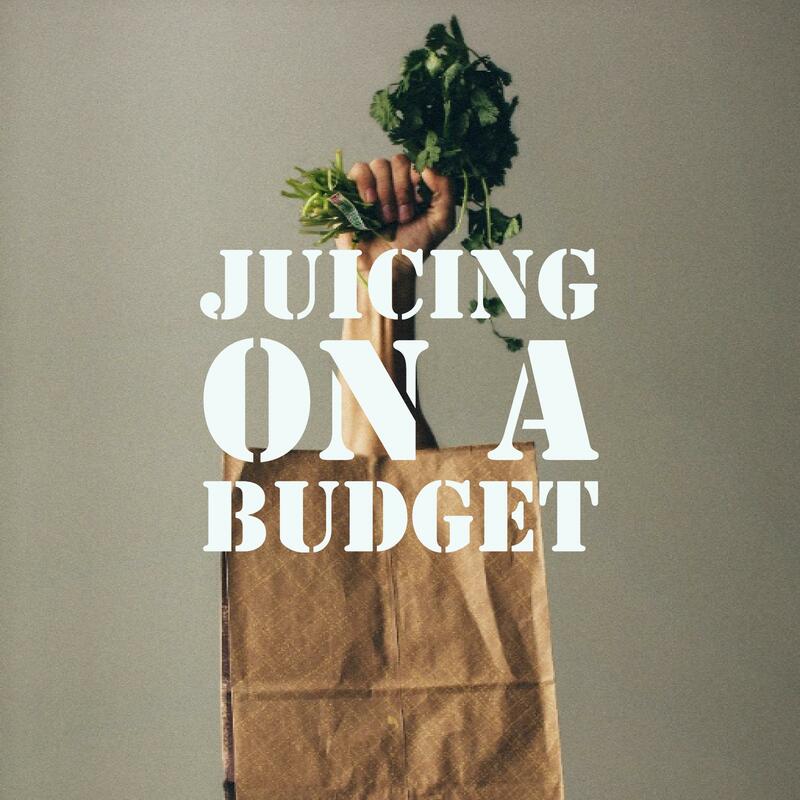 A great way to save money on juicing is to be mindful about what you are buying. It’s quite easy to wander around the supermarket and pick up various exotic fruits and vegetables but it’s often an unnecessary cost. By planning out your weekly drinks and then purchasing only what you actually need then you’ll cut down drastically on your shopping bill. Sit down the night before your weekly shop and put together 3-4 different recipes that you enjoy and buy only those ingredients. Another good way to cut down on costs is to buy what you need in bulk. Instead of going back to the shop every evening to pick up more bananas or spinach simply buy large amounts during your weekly shop which will be more affordable than buying smaller amounts individually. Once you get home you can prepare your ingredients, chop them into smaller pieces and freeze them for a later date. Mixed bags of berries, frozen spinach, pineapple and other ingredients are readily available from supermarkets. Not only do they free up valuable space in your fridge, they last longer and can save you money in the long run. The only downside is that frozen fruit is rarely organic, but if you are trying to save money then you may have to make some small concessions. While non-organic fruit and vegetable is not as good for you as organically grown, it’s still better than having hardly any fruit and veg in your diet at all! You can get some great deals from local farmers and independent markets. It’s normally much easier to buy in bulk, you can find out all about their growing practices and you may even be able to haggle for an even cheaper haul! Probably the single cheapest way to juice is to grow your own fruit and vegetables in your garden, greenhouse or allotment. Growing your own spinach, cucumbers and carrots is relatively simple and easy to do in the UK and you may also have some success with fruits and berries too. For more tips and advice including our favourite smoothie recipes, take a look on our News & Articles and Tips & Advice sections or share your cleaning tips with us by tweeting @TimeForYouGroup. A build up of gunk and matter in your juicer or blender is not only a nuisance affecting the taste of your drinks but also presents a health hazard as debris from your fruit and veg starts to decay. Here we look at some simple techniques for thoroughly cleaning your equipment. A common reason that people fall out of love with juicing or making smoothies is that the appliances can be tough to clean. This is why it’s important to find an appliance that can easily be taken apart and that is relatively simple to wash. Many appliances have awkwardly shaped components that make it hard for the owner to scrape out those leftover seeds or small strands of fruit and vegetables which make them a chore to clean. The best way to ensure that you find one that is free of headaches is to do plenty of research – read reviews on Amazon and watch videos on YouTube of your potential new appliance before committing to a purchase. While some reviews are very brief and might not mention daily use, there are often reviewers who give a much broader analysis of how their appliance has performed and how it suits their every day needs, including how easy it is to clean, which will be useful in making your decision. The best time to clean your appliance is immediately after you’ve made your juice or shake. By cleaning at the first opportunity you can tackle leftovers before they have a chance to harden. If your juicer has a catch container which collects pulp and matter then a good tip to reduce unnecessary cleaning is to add a plastic bag which can hold it. Unless the bag is particularly wet and soaks through to the container then you shouldn’t need to clean it too thoroughly afterwards. After making your juice or shake carefully begin taking apart your appliance and give it a good rinse under the tap. After rinsing each component use hot water and soap to clean each piece before laying it down on a towel to air dry. Long handled sponges and cleaners are your best friend when cleaning a juicer as the extra length can help you to reach hard to get areas - if you can find one that holds washing up liquid inside it then even better. Some parts of juicers such as screens and cutting teeth can be particularly troublesome to clean. 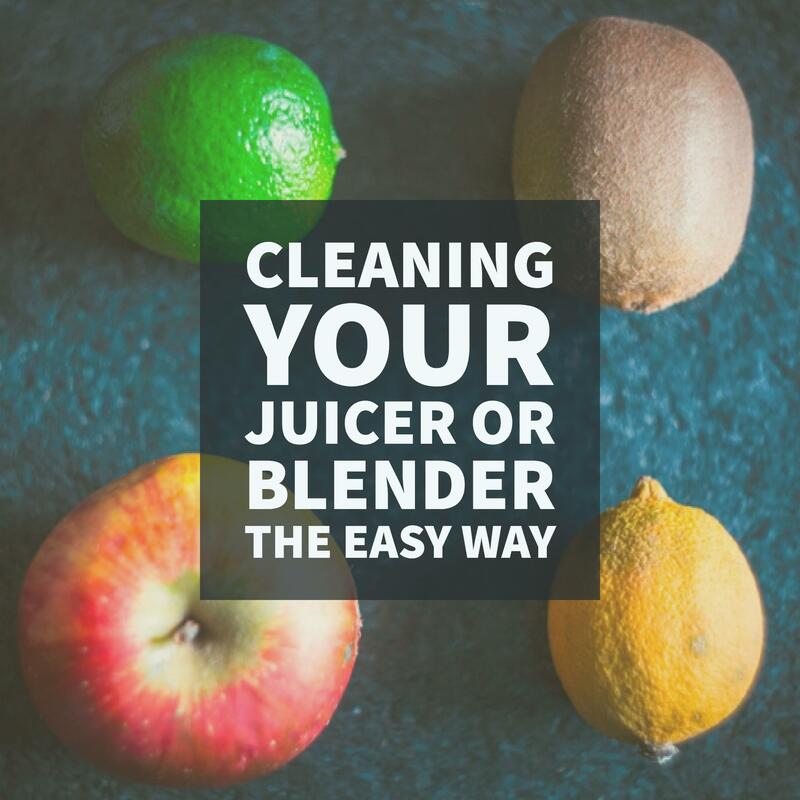 Dried up pulp that gets stuck in your juicing screen can reduce effectiveness of your machine, so you need to make sure it’s thoroughly cleaned. To do this, take it out and hold it up to the light. You should be able to see any holes that are filled with pulp. If you spot any that are filled then give them a good rinse and scrub under a hot water tap. If you still struggle to free up the holes then let them soak in soapy hot water for a few hours before scrubbing again which should help to ease up the dried pulp. Fruit and vegetables can easily stain and discolour your blender or juicer but this shouldn’t be your primary concern. While discolouration doesn’t look nice it’s not going to affect the quality of your drink. Instead focus on making sure that no plant matter is left behind on your appliance as if you leave it to long it can breed bacteria and the next juice you make might be dangerous to drink. Juicing is one of the best ways to get your daily fix of fruit and vegetables and with each new recipe there is a whole new range of health benefits that comes with it. However, not all ingredients are created equally and some supplements and ‘super food’ add-ins can give you a boost that could rival any vitamin tablet. Here are six of our favourite powders and potions that will supercharge your smoothie and make you feel on top of the world. Cacao – not to be confused with cocoa – is the purest form of chocolate that you can consume. Cacao is rich in magnesium, iron, potassium, calcium, copper and zinc. In fact the levels of magnesium are among the highest in any food source. With a chocolaty taste, cacao not only makes your smoothies taste better but can also regulate your insulin, boost your cardiac health, lower your blood pressure and boost your mood. What a way to start the day! Often used to add some texture to a thin smoothie, Chia seeds thicken up when wet. High in protein and rich in trace minerals, they contain a powerful dose of essential fatty acids which are responsible for regulating blood pressure and blood viscosity as well as immune and inflammatory responses. Whether in seed form or as cold-pressed oil, flaxseed is an important source of fatty acids and a powerful anti-oxidant that makes a great addition to your shakes. While research is still ongoing, flax seed has been documented to aid digestion, reduce inflammation, protect against some forms of cancer and boost cardiac health. Another good source of your protein is hemp powder or oil. Packed full of fatty acids and antioxidants hemp seeds and oils are great for cardiovascular health, skin conditions and your immune system. Due to its high protein levels a spoonful of hemp protein powder in your smoothie can work wonders after an intensive workout. This fresh water plant is one of the most popular super foods around. 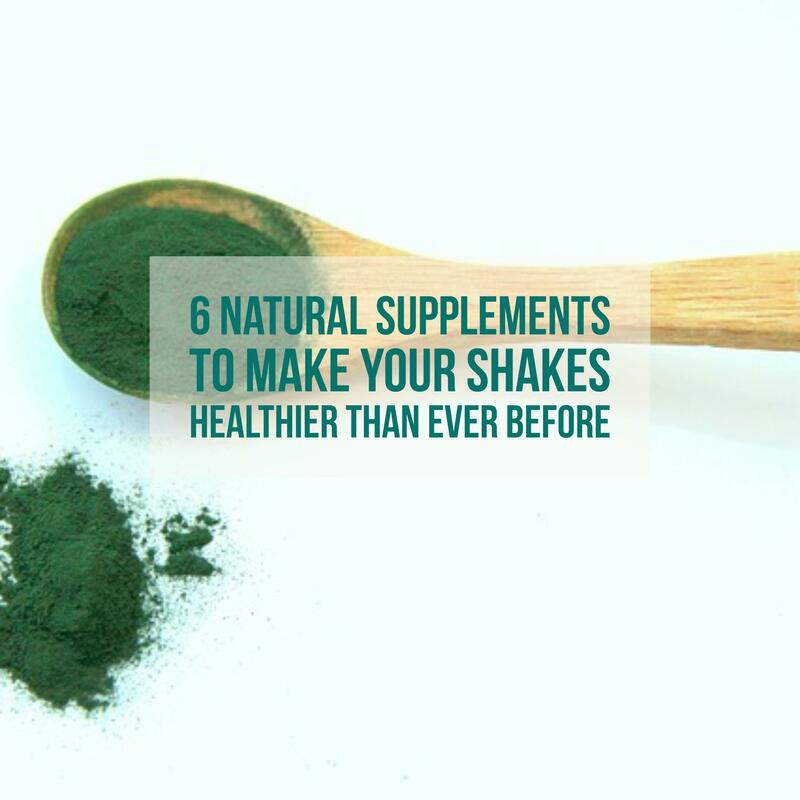 Grown in fresh water it is blue - green algae that is available commercially in powdered form – perfect to add into meals or straight into your smoothie. Spirulina can be used to detox heavy meals, may help heal Candida and leaky gut syndrome, certain types of cancers and reduce cholesterol. It is also said to increase energy and promote fat burning. If you’re not sold by that then try this for size – some strains, like Spirulina Pacifica, have almost 4000% more iron than spinach in just a 3-gram serving! Grown high up in the Andes Mountains in Peru, Maca is a leafy root plant similar to a radish or turnip. Maca has been used for over 3,000 years by locals and is said to be helpful with everything from memory and blood problems to menstrual issues and stomach cancers. Today Maca is available around the world in both tablet and powder form and is commonly used for sexual health, anti-aging properties and energy levels. Other popular super foods include coconut oil, avocados, goji berries, flaxseed, acai, camu camu and many more. What’s your favourite super food to include in your smoothies? Let us know by tweeting us at @TimeForYouGroup or for more tips and advice visit us at https://timeforyou.cleaning/uk/. Breakfast is the most commonly skipped meal of the day – however it’s also often called the most important. As your body spends all night fasting without food, it’s absolutely essential to find time to eat something nutritious come the morning. Studies show that breakfast improves concentration and memory as well as cognitive function and general long term health, helping to reduce high blood pressure and obesity. However, not everyone has time to get a good hearty breakfast in the morning. You may have a long commute; have to manage the school run or perhaps just like an extra 20 minutes in bed – in which case you should look for an alternative way of getting your morning fix of the good stuff. Energy juices and shakes are a fantastic way to set you up for the day and can be made the night before, or even earlier in a big batch to last you the week. 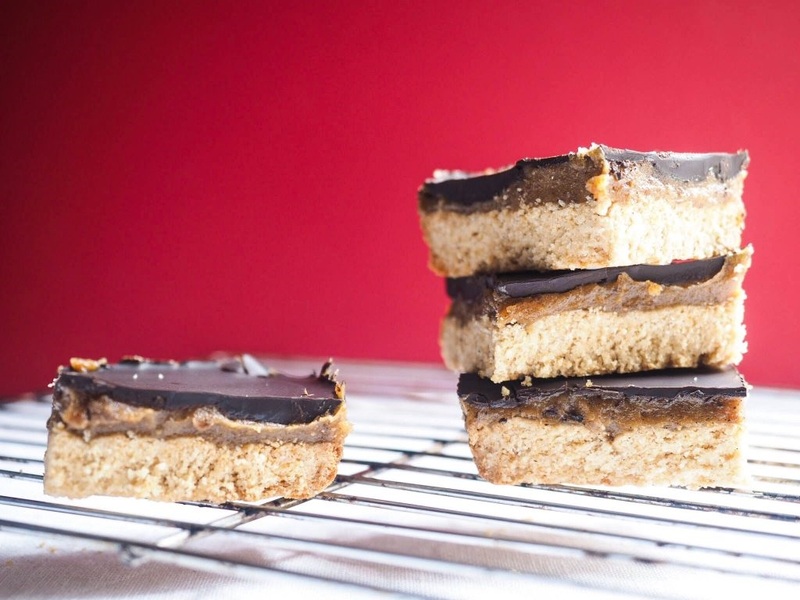 Here are a few of our favourite recipes to get you started. 1 diced cup of pineapple a teaspoon of turmeric, grated ginger and a teaspoon of black pepper which helps your body to absorb the curcumin found in turmeric. Curucmin has been shown to boost the immune system and be beneficial in helping reduce inflammation such as with irritable bowel disorder, psoriasis, arthritis and other similar health problems. All the best morning juices are brightly coloured. None is more vibrant than this beetroot smoothie. Beetroot has a very distinct taste and will really awaken your taste buds first thing in the morning with its zingy kick – especially with some added ginger. Beetroot is full of folic acid which is a powerful anti-oxidant while apples give you some much needed fibre. Another popular morning energy smoothie is that of coconut and kale. Kale is one of the best sources of protein around while coconut water has a uniquely refreshing taste that gives you a fantastic morning boost. Once again ginger can be added to give the smoothie more of a ‘zing’ but it also has some good health benefits such as easing upset stomachs and promoting digestive wellness. If you’re looking to get your fix of greens then this is the smoothie to start your day. Kale is low calorie, high fibre and packed with nutrients, vitamins and magnesium. Cucumber is equally impressive with potassium, molybdenum, magnesium and silica. 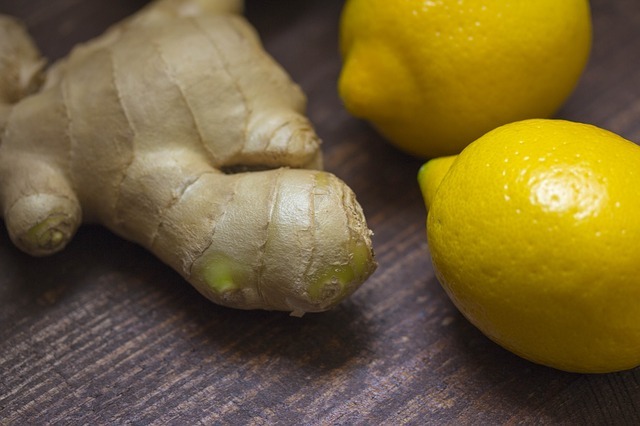 Lemons are filled with vitamin C, B6, A and Vitamin E, while ginger aids digestion and improves flavour. Try introducing these juices into your daily diet and observe how they improve your energy levels. For further recipes take a look on websites like Pinterest and be sure to tweet us @TimeForYouGroup to let us know which one’s you’ve enjoyed the most. 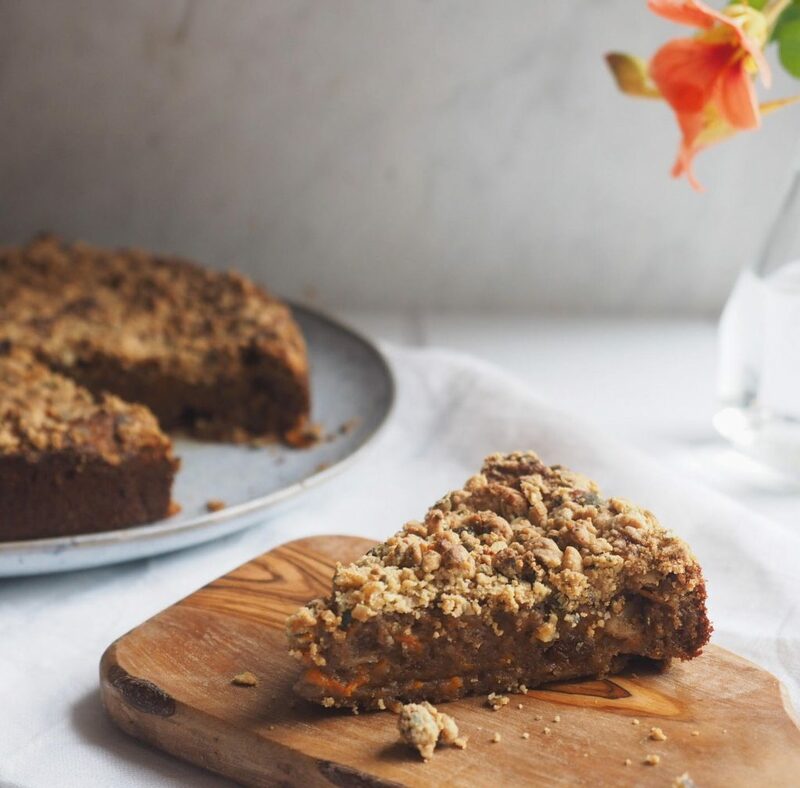 Make no mistake, these cakes might be virtuous, but miraculously the healthy ingredients (including spelt flour, nuts, dried fruit, even vegetables) elevate the flavours, giving a complex, sophisticated taste to the baked treats. I think you’ll find the three recipes below to be rich and indulgent and deeply satisfying. And once you get a taste for healthy cakes, you’ll be hooked! Preheat the oven to 160C and line a 20x20 baking tray with baking paper and grease lightly. Put all the shortbread base ingredients into a bowl and mix until smooth. Press the dough into the baking tray and cook for 15 mins. Let the base cool. Put all the caramel ingredients in a food processor and blend until they clump together. Press the caramel onto the cooled base. Melt the chocolate and coconut oil in a bowl over a simmering pan of hot water. Stir together and pour over the date caramel. Put the tray in the fridge until the chocolate has set (about 20 minutes). Use a knife to slice it into 12 squares. Preheat the oven at 180C. Grease and line a 22cm springform cake tin with baking paper. Mix all the dry ingredients in a bowl and then add the grated carrots. In another bowl, mix the honey, butter, yoghurt and egg. Beat with electric mixer until combined and then fold this wet mixture into the dry mixture. Pour into the lined cake tin and smooth the top with a knife. For the crumble, put the flour and sugar in a bowl and rub in the cold butter until the mixture is like breadcrumbs. Add the chopped up pumpkins seeds and salt and the sprinkle on the cake mix. Put in the oven and bake for 35-40 mins. Remove from oven, test with a skewer (if it comes out clear it’s cooked) and leave to cool for ten minutes before putting it onto wire rack. Preheat the oven to 180C. Line a muffin tray with 12 cupcake cases. Gently melt the butter in saucepan, add the honey and the spices and stir together. Set aside for ten minutes. Put the almonds in a bowl and add the spelt flour, coconut and baking powder. Put the grated carrots and banana in a food processor and blend until the banana is mixed in with the carrots. Add to the dry ingredients and stir well. Beat the egg whites until they form soft peaks. Fold in the cake mixture and add the spiced butter and stir until smooth. Spoon into the cupcake cases and bake for 25-30 mins until golden. Cool on a wire rack. To make the icing, whisk the cream cheese, maple syrup and lemon juice in a bowl. 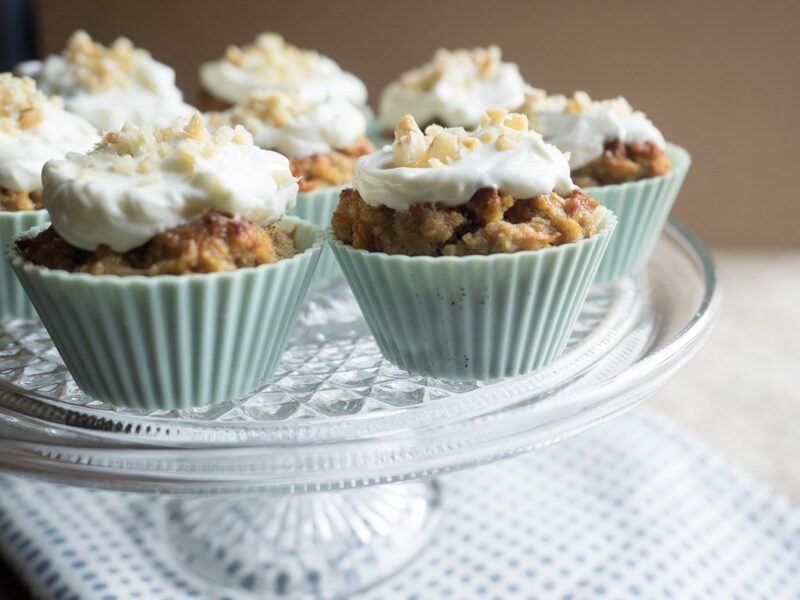 When the muffins are cool, spoon on the icing and sprinkle with chopped nuts. Some people think food is great. Others worship earth’s edibles. We call these people foodies. The first thing they think of when they wake up is tucking into something tasty. They probably even plan their days specifically around meals. If this sounds like you, and travelling also ticks another box, I have a treat for you. 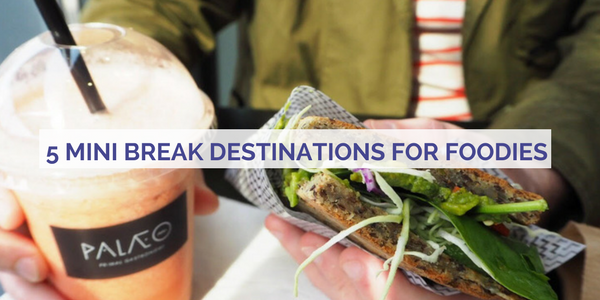 Feed that wonderful obsession of yours by discovering five magnificent mini breaks that will satisfy your taste bud’s aspirations in glorious ways. Even if you’re not a foodie, your appetite for travel and food will grow from reading this list. You have been warned. France is the epitome of sophisticated wining and dining. Food plays a huge cultural role, used as a cornerstone of social gatherings, dinners here can often feature up to six courses. And if you want to experience French cuisine at its finest, Burgundy should be your first point of call. Epoisses, a cheese distinguished by it’s nutty and citrus flavours, is sourced from the region's distinctive cream-coloured Charolais cows; a local delicacy not to be missed. Burgundy is also famed for its succulent beef bourguignon. You can enjoy this famous dish in the city’s many stylish restaurants. For exceptional French gastronomy, you may want to visit Relais Bernard Loiseau: a Michelin three-star restaurant named after its celebrity owner. You won’t regret a single mouthful from their menu. A spectacularly beautiful country, Switzerland is notorious for its otherworldly landscapes, with storybook towns surrounded by snowy peaked mountains and crystal clear lakes. Add heavenly confectionery into the mix and things get really special. Switzerland is the epicentre for Lindt chocolate... and it’s magic. The way the outer casing melts to reveal a cool and delicate fondant centre is a marvel we can’t explain. What we can tell you is that Zurich is a chocolate lover’s paradise. It’s a city teeming with enough chocolateries to put you in a permanent sugar stupor. But if you’re more inclined to savoury delicacies, tuck into Switzerland's most famous dish, Zürcher Geschnetzeltes. It’s a creamy medley of earthy mushrooms, sauteed veal, and crispy potato rosti; pure gluttonous heaven. New York has earned its right to be in the top five places to visit on almost everyone’s list. And while it’s cosmopolitan attractions are what make the city so magnetising, the food on offer here is also a hot topic. New York is a fast-food mecca combining cultures from around the world. If Mexican cuisine is your passion, chow down on some grilled corn layered in mayonnaise and Cotija cheese. Or pick up a fried chicken sandwich served on a buttermilk biscuit. Weirder, you say? Finish on a sweet note with Schmackary’s maple bacon cookies… yes, bacon cookies (only in America, right?). If you spell Naples backward, it won’t say pizza... but it definitely should. Travel to Italy’s bustling city and be hypnotised by the smell of freshly stone baked pizzas around every street corner. And you don’t have to empty your pockets for a first-rate meal. Even the best pizzerias, such as La Pizzeria Sorbillo owned by Gino Sorbillo, offer this iconic meal at reasonable prices. Simplicity, not sophistication, is the secret ingredient to the city's gastronomy; Naples prides itself on using fresh ingredients from the region (you won’t ever find pineapple on your pizza here). Choose to stay here for a mini break and spend your time adventuring up Mount Vesuvius and exploring the ancient city of Pompeii. Finish your day with the tastiest pizza you’ll probably ever eat. Encompassed by rough seas and wild landscapes, it’s easy to see from where Northern Ireland sources the hearty, fresh food that puts a smile on many a traveller’s face. And the best place to sample such divine dishes? Belfast. This dynamic, vibrantly cultural city is full of restaurants offering succulent seafood, meat cooked to perfection, hand-picked fruit and organic vegetables. Choose to dine here and experience menus inspired by the land. Feast on Mountain Lamb and lobster at the Michelin-starred Ox. Or head over to Deanes (owned by top chef Michael Deane) for a tender fillet of Fermanagh beef with braised ox cheek, complemented with triple cooked chips and bordelaise sauce. And don’t forget to leave without trying the famous Ulster Fry, best sampled at a local B&B where home cooking is a given. Marie Kondo is a Japanese organising and decluttering professional and her book The Life-Changing Magic of Tidying Up has sold over five million copies worldwide. So popular is her method that ‘to kondo’ has even become a verb. So what’s so ‘life changing’ about her process? First, put your hands on every single item you own, ask yourself if it sparks joy, and if it doesn’t, thank it for its service and throw it away. 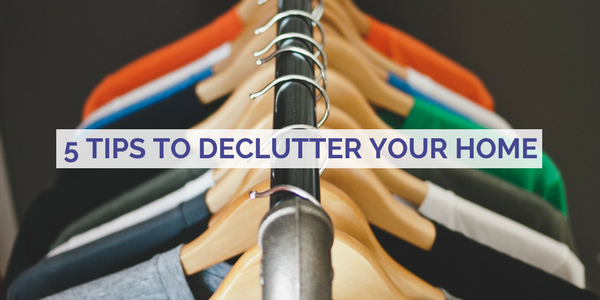 Second, now only your most joy-sparking belongings remain, put every item in a place where it’s visible, accessible, and easy to pick up and then put back. Only then, Kondo says, will you have reached the holy grail of housekeeping, and never have to tidy again. Kondo’s first rule is to tidy by category: deal with every single one of your shoes at once, for example, otherwise they’ll continue to appear in other rooms, and you’ll never control the clutter. She advises beginning with clothing, since it’s the least emotionally charged of one’s possessions (books are next, old photographs left until last). When doing a big clear out, most of us focus on what we’re going to throw away. Kondo’s approach is the opposite, she says we should look instead at what we’re going to keep. It is overwhelming to part with sentimental items, especially those attached to parents, children or cherished friends. By first identifying which items are true treasures, it’s much easier to say goodbye to the rest. Once you’ve sorted out the things to discard, you can decide where the remaining things should go. And in the case of clothes, rather than hanging in a wardrobe, Kondo thinks a lot of our clothing would be better off (or as she’d say, happier) folded in drawers using Marie Kondo’s special folding technique. Kondo’s vertical folding technique makes everything easy to find and hard to mess up (you don’t have to turn a whole pile of t-shirts upside down every time you want something at the bottom). Folded this way, clothing looks almost like origami, lining your drawers in neat rows. To keep these little folded packages standing perkily in the drawer, Kondo suggests using shoeboxes as drawer dividers. A smaller box is perfect for knickers and pants, a deep one can go on a bottom drawer for jumpers or jeans. This is why people become so obsessed with the Marie Kondo method. Once you’ve cleared away the clutter and put things away, your dresses and skirts - the good stuff, is finally visible. There’s actually room between pieces, so you no longer have to fight to see your clothes. All of which means you get a hit of excitement just opening your wardrobe, whether you’re getting ready in the morning or planning a party outfit. Tidying your photos should be the final stage in your journey to clear the sentimental clutter in your home, says Kondo. She recommends that you collect all the photos you have around the house and lay all the photos on the floor according to the year or period in which they were taken. Let go of any that are similar and if you have several photos from the same day, choose the best one. And negatives? Just get rid of them. Another smart rule is to only keep pictures in which you, or your loved one, is looking good.